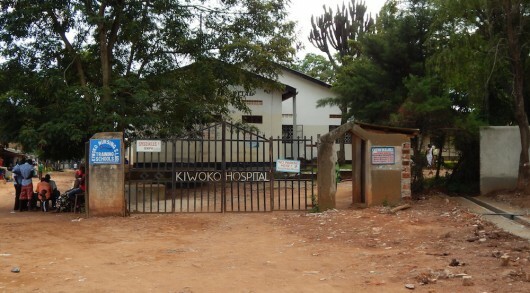 NAKASEKE- A doctor has sued Kiwoko hospital Board of Governors over wrongful termination of his 4 years contract as its director. Dr Stephen Kijjambu sued the Board of Governors seeking over Shs300million compensation. Through his lawyers of Kiwuuwa and co-advocate, Dr Kijjambu wants the hospital to pay him over Shs 300 million being lost salary for the duration of his prematurely terminated fixed term contract. Dr Kijjambu claims that he was appointed as Kiwoko hospital director on October 26, 2017, for a fixed term of 4 years with effect from January 2, 2018. He contends that he accepted the offer on November 7, 2017, and on January 2, 2018, he assumed office until on May 7, 2018, when his employment was terminated citing the shortage of donor fundings which the hospital predominantly relies on. Dr Kijjambu contends that prior to his dismissal, Dr Ian Clarke one of the hospital’s directors had on March 2, 2018, urged him to resign his employment which he refused to do. “As per my contract of employment as the hospital’s chief executive officer charged with nurturing and liaising with the hospital’s donors, I was not aware of any shortage of funding,” Dr Kijjambu states. Document before court shows Dr Kijjambu was earning a monthly salary of Shs7.5 million. Dr Kijjambu avers that he was made to leave his lucrative job of an associate professor of surgery at Makerere University; after the Board of Governors of the Kiwoko Hospital made him sign a contract of 4 years. Now he wants Court to compel the hospital to compensate him for wrongful dismissal, embarrassment, humiliation and degrading treatment. Court has given the hospital board of governors 15 days to respond to the case before it is set for hearing.